A lot of our customers ask us if moving a standby generator is a feasible option. 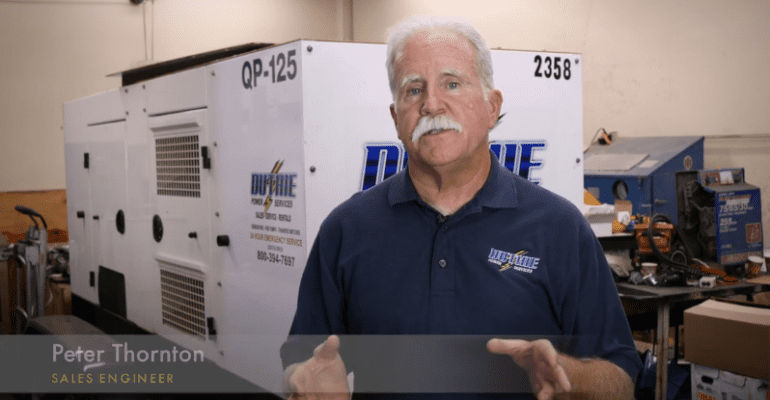 Peter answers questions about generator relocation in our latest video. You do have the option of moving your generator with you. But there are some factors that have to be taken into effect, especially here in California. The Air Quality Management District (AQMD), if the generator is of an older make, they most likely will not allow you to move the generator because it no longer meets the emissions standards for today. If the generator is of a certain size, or not too old of a generator, you can get approval from the AQMD to move it, but they generally are the ones that determine whether you can move it or not. Some people have done that and it’s worked out very well, but in most cases I’ll tell you, probably today 80%-90% of people that want to move their generators cannot, because the AQMD just will not allow them to do it.